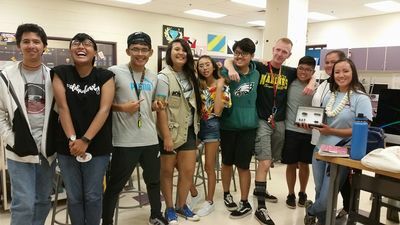 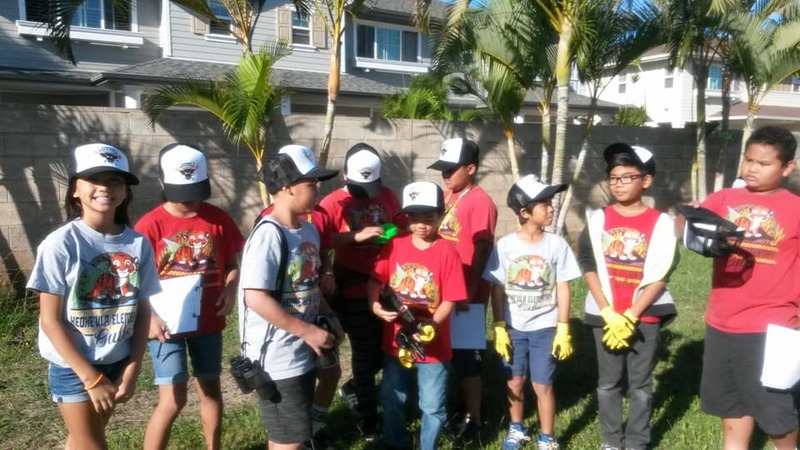 Students from Leeward O'ahu have been busy working to restore two sites in their community contributing to a healthier watershed from the mountain to the sea. 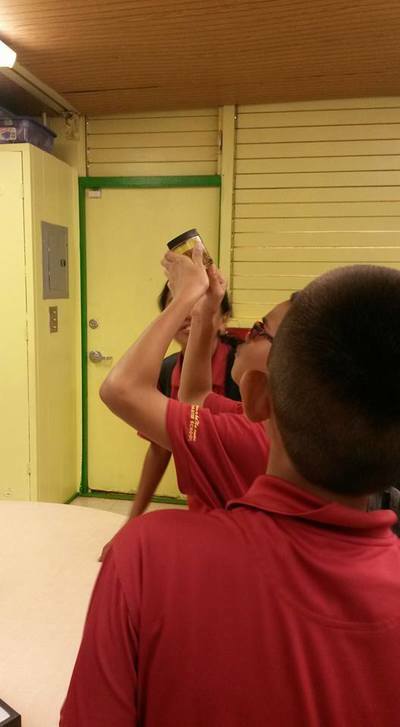 Over the course of the 2017-2018 school year, our Ola Nā Kini program has engaged 8 different Leeward O'ahu schools ranging in grades 6-12. Those schools are Wai'anae High School, Wai'anae Intermediate School, Kamaile Academy, Nānākuli High & Intermediate School, Ka Waihona o ka Na'auao PCS, Kapolei High School, Waipahu High School, and Ulu A'e Learning Center (afterschool program based in Kapolei). 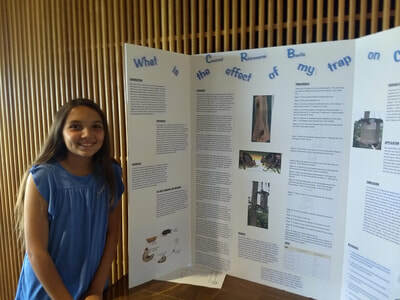 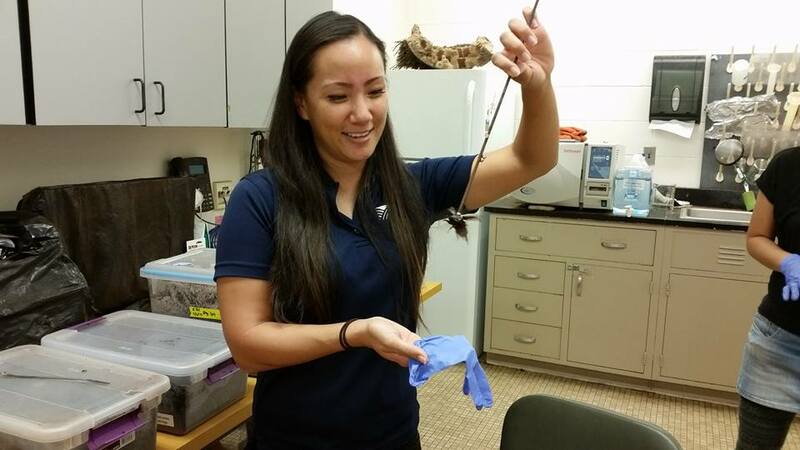 Students were able to go on multiple field trips to the Ola Nā Kini sites (Pālehua and Zablan's) to promote long-term engagement and have them learn from multiple perspectives regarding the health of the watershed. 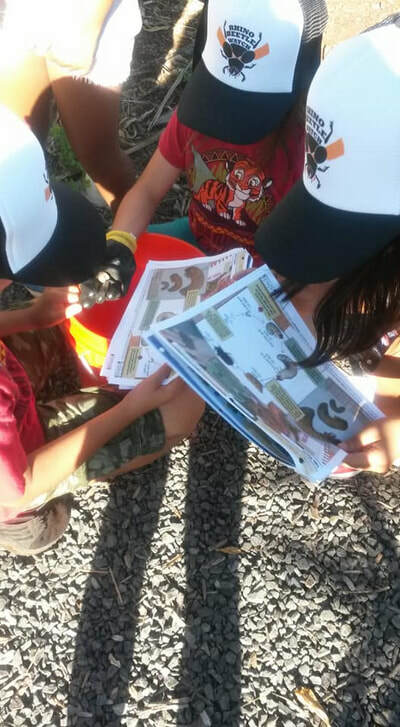 Activities on these site visits include water quality data collection of the stream and ocean at Nānākuli, native planting data, plant propagation, outplanting at restoration sites, invasive weed removal, and art. 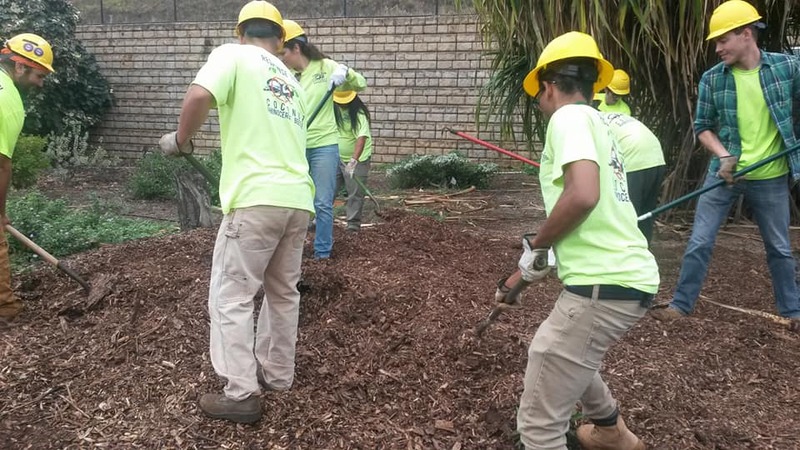 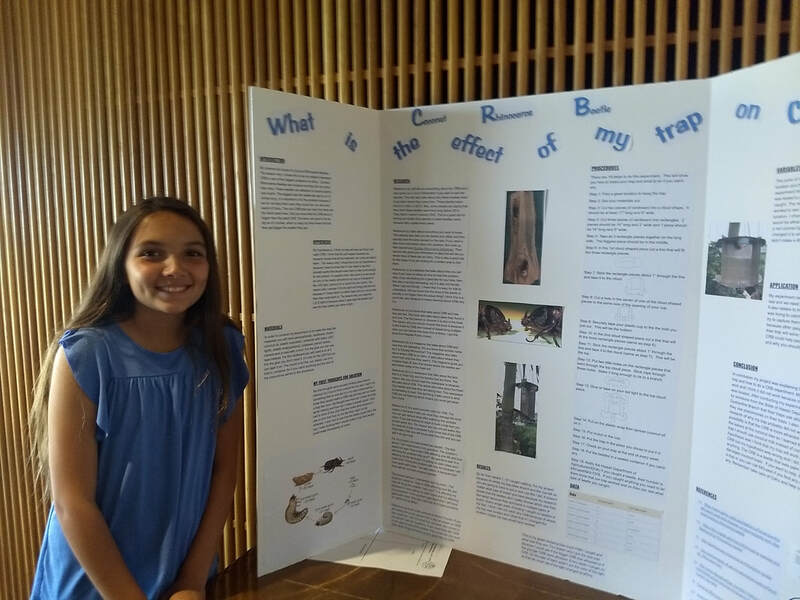 Ultimately, our goal is to have students care for the environmental resources in their community by learning outdoors through hands-on, place-based education that makes learning relevant. As a result, our hope is that Ola Nā Kini contributes to more sustainable, resilient communities and also develops the next generation of leaders who understand their kuleana to the 'āina. 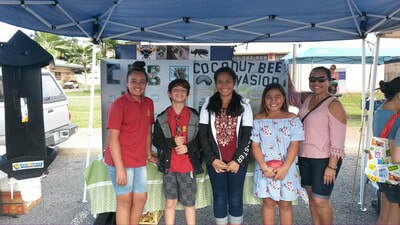 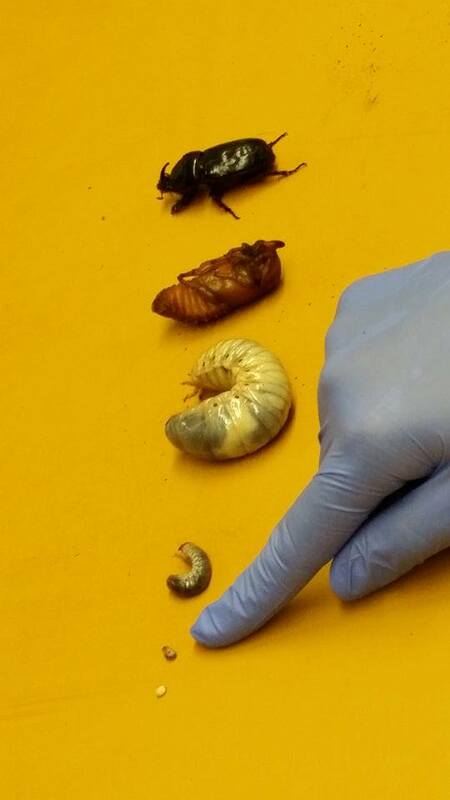 Mālama Learning Center (MLC) is working closely with the Hawai'i Department of Agriculture through a grant from the U.S. Department of Agriculture to heighten awareness about the Coconut Rhinoceros Beetle (CRB) throughout the Nānākuli community, and lead residents to take action to reduce habitat for these invasive pests. 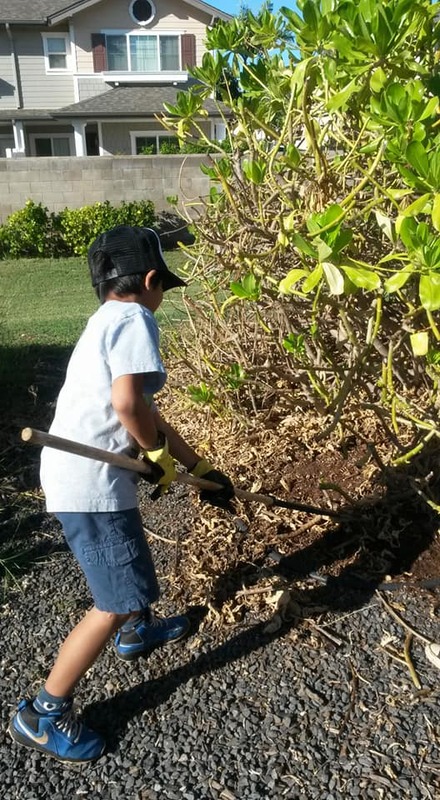 CRB is not native to Hawai'i and attacks, as its name implies, coconut trees as well as other palms, including the native Hawaiian loulu. It can kill these trees through boring through the trunk. 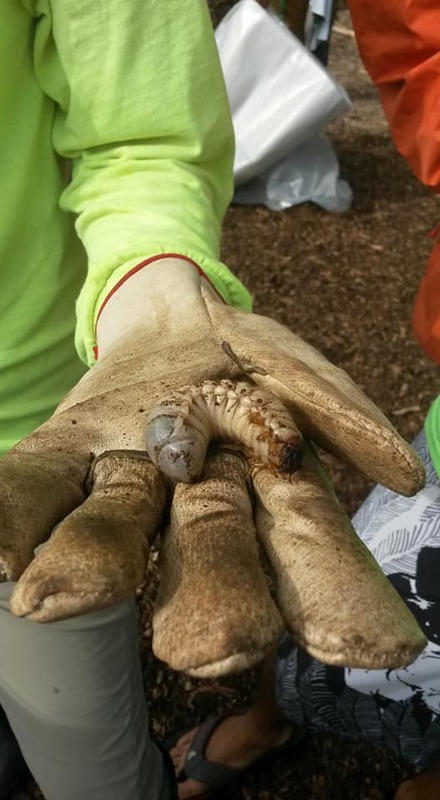 Larvae of CRB are often found in green waste and mulch piles. 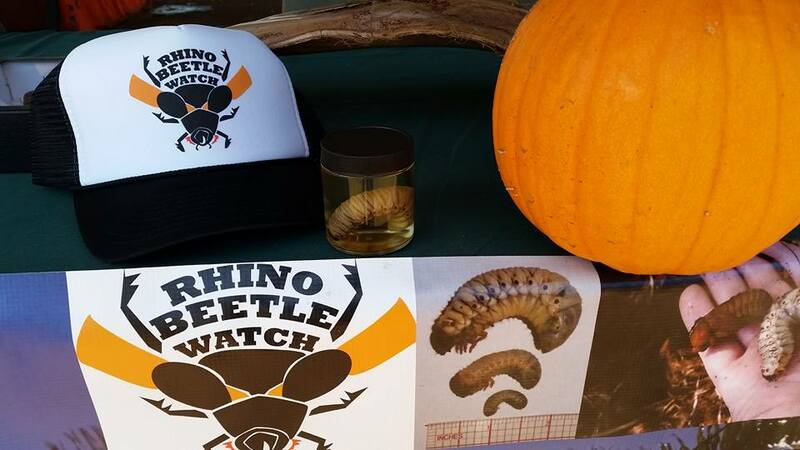 To be successful, we must reduce in size and number this habitat for the CRB. 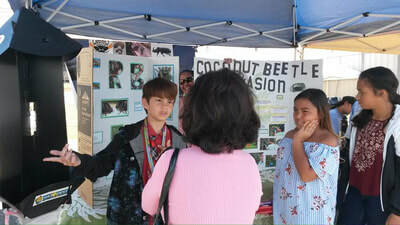 In order to do this, MLC has been partnering with Leeward O'ahu schools to develop Beetle Watch Teams to participate in science-based lessons to help them take the knowledge they learned bout the CRB and become "community leaders" in conducting outreach within the school community and neighborhood. The Beetle Watch Teams have been conducting CRB surveys on their school campuses, looking for telltale signs of CRB damage in coconut trees and other palms as well as locations of large mulch and greenwaste piles and surveying these piles for CRB larvae. 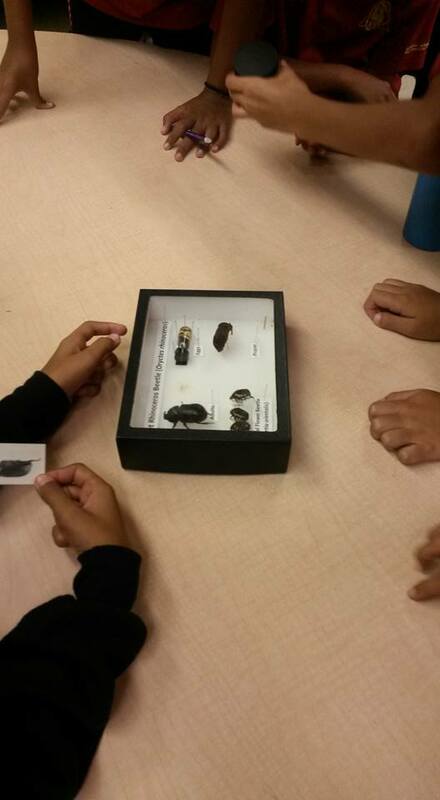 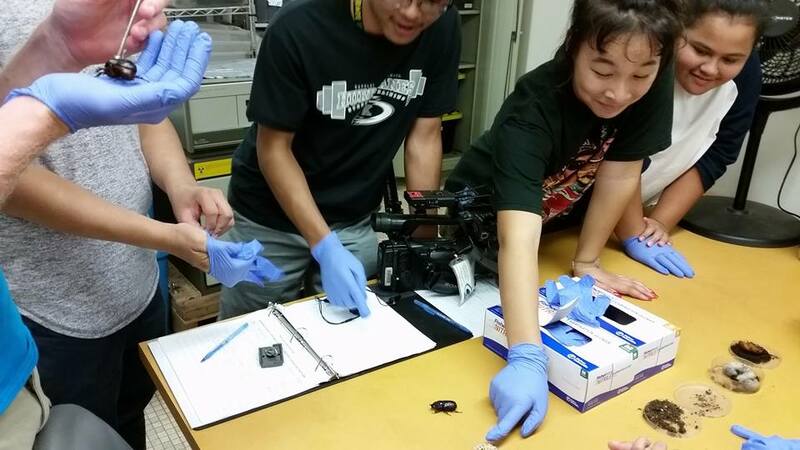 A total of 3 Beetle Watch Teams have been formed at Kamaile Academy, Ka Waihona o ka Na'auao PCS, and Keone'ula Elementary School. Please see the Coconut Rhinoceros Beetle page for more information on how you can help!